Is it dark (in tone or in luminous intensity)? Is it creepy in an undeniable, but sometimes indefinite, way? Is death featured heavily, either as an event or preoccupation? Does it leave you with a deep distrust of old, palatial manners, moldering estates, dilapidated plantation homes and crumbly castles? It would have if I weren’t already freaked out by those places. Is it focused on an individual (or small group or family) and their thoughts and feelings as they try to deal with everything listed above without going completely insane? That’s Gothic Fiction alright. This genre looked at the rugged individualism, intense emotions, introspection and focus on nature and the past (in particular the medieval period) of Romanticism and said, ‘Yeah, but where is all the deep, existential and psychological terror and death?’ It’s not necessarily terrifying in the way traditional Horror is but it will almost certainly get your skin crawling at some point. Or at least make you look over your shoulder as you walk down dark and deserted hallways, should you have occasion to do so. Now that we have that established the real question is, where is it set? 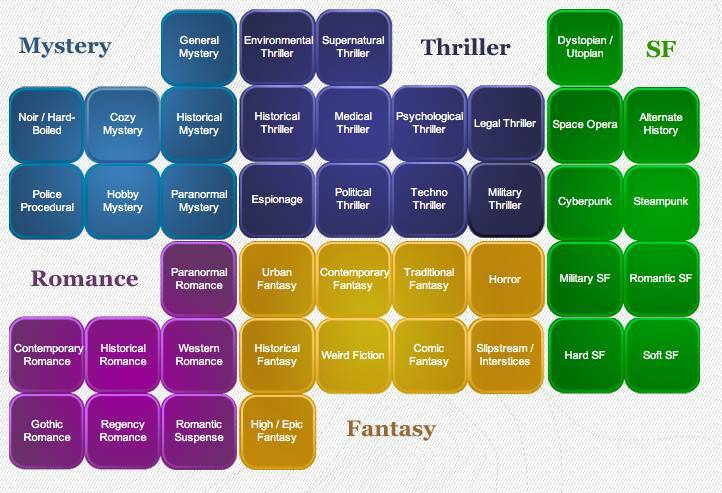 For Gothic Fiction, setting is what determines subgenre – American (or, more specifically, Southern), English or Space (you read that right, space). As you would assume, we’re dealing with American settings here — the frontier or wild west, the deep south, sometimes even suburbia. The stories often explore the darker parts of American culture and history; slavery, war, genocide and the exploitation of the nation’s natural resources and wilderness come up fairly regularly. Horror is there in some form or another, but it isn’t always supernatural (as people are more than capable of being horrifying on there own), and when it is, it might be implied rather than clearly identified. This brings in the unreliable narrator and mental illness, which is another common theme in American Gothic stories. Set it in the sweltering southern heat, and liberally sprinkle in racial tension, degradation, and poverty left over from the Reconstruction era and you have Southern Gothic. Grappling with mental illness or spiritual angst, while dodging ghosts on the windswept moors or in a crumbling tower? In England? You’re in an English Gothic story. Watch out for untimely death, doomed romance, and villainous depravity – if it hasn’t happened already, it’s only a matter time. And, this probably goes without saying but, try to stay out of neglected graveyards, cobwebbed dungeons and, of course, haunted castles. You know those sci-fi stories where civilization and technology extended so far and so fast that when it eventually and inevitably collapsed the average person was suddenly left stranded in a pseudo-medieval, superstitious and decaying society despite the fact that they live on an alien planet or massive star ship? Well, they’re out there, and they are frequently the starting point for these Gothic Space stories. In these cases, the rickety star ship serves as haunted mansion/castle analog and the inky, vast blackness of space the misty, eerie moors that surround typically surround them. 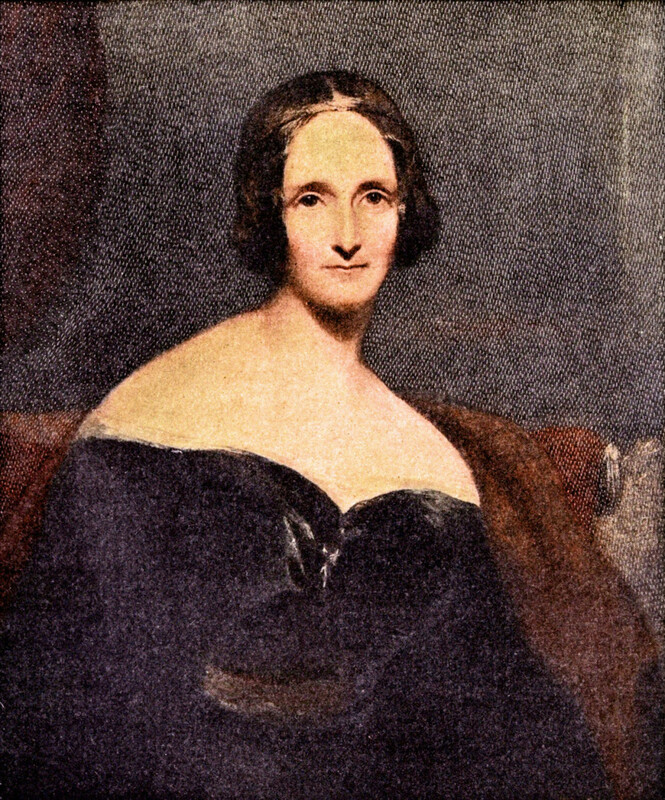 Authoritarian regimes, oppressive cults and demonic alien forces are common issues, as well as the usual wear and tear of long space travel — time dilation, the assumption of death-like states of suspended animation, and the dementia-inducing isolation of space travel, to name a few examples — on human relationships and sanity are frequent topics. Being alone in the dark, unable to make a sound, unseen creatures waiting to attack – these are some of humanity’s most primal fears, fears that lurk deep within us all. These sorts of fears, and the anxieties they pry from us, have long been fertile ground for horror and thrillers across all mediums. “A Quiet Place” is set to arrive in theaters on April 6th, telling the story of a family surviving in total silence out of fear of unseen creatures who hunt purely by sound, so naturally these sorts of deep-down fears are firmly on our minds. While there’s undoubtedly something special in catching a great horror film on the big screen in a dark theater, nothing quite compares to the chill that comes from curling up with a terrifying read. Fortunately, there are an abundance of frightening and unnerving reads to scratch this particular itch – silently, of course. Josh Malerman’s debut novel is an unrelenting excursion into suspense and tension. Set in apocalyptic near-future, Malerman imagines a world beset by mysterious creatures who drive anyone who catches even a glimpse of them into a volatile and deadly mania. Malorie and her young children, who were born after the creatures appeared and have been trained to navigate the world under blindfolds, set off on journey downriver to what they hope is a safe haven. But something is stalking their every move. And if this sounds like your cup of tea, good news – a Netflix adaptation of Bird Box starring Sandra Bullock is due out later this year. Blindness is among José Saramago’s finest novels and was cited by the Nobel Committee when Saramago won the Nobel Prize for Literature in 1998. The novel follow seven strangers stuck in an epidemic of blindness. As the city around them descends into chaos and becomes more and more dangerous, a woman who has miraculously retained her sight attempts to lead the group to safety and keep them alive. It is a haunting parable of loss and man’s capacity for violence and degradation. Cormac McCarthy took home a Pulitzer Prize for The Road, which centers on an unnamed father and son making their way across a an America devastated by an unexplained apocalyptic event. Their bleak and harrowing journey is both shockingly violent and unexpectedly hopeful. It is an unflinching meditation on man’s capacity for brutality as well powerful love between a parent and child. They are blind and hunt purely by sound, twisted creatures that emerge from an underground cave system to feed, tracking their prey by the slightest sound. A young girl and her family watch the news in horror as the creatures lay waste to mainland Europe. When the creatures begin to appear in the UK, the girl – who has been deaf for most of her life – set out for a safe haven, hoping silence will shield them from the terrifying creatures. Beginning in the early days of a devastating global pandemic, The Fireman centers around the journey of a nurse named Harper Grayson. A deadly spore causes its victims to break out in beautiful gold markings and eventually spontaneously combust. When Harper spots the gold markings on her arms, her only goal is to survive long enough to give birth to her child, but as she struggles for survival she soon discovers there is far more to the outbreak than she ever could have imagined – and that perhaps it isn’t the death sentence she thought it was. It’s Lord of the Flies meets an apocalyptic contagion! I’m not really sure I need to say more than that, but here goes: Nick Cutter’s novel centers on a scout troop’s annual weekend camping trip to an island in the Canadian wilderness. What begins as a reliably fun experience quickly deteriorates into an exercise in survival and terror when an emaciated, pale, and disturbingly hungry stranger wanders into the group’s camp. Black Spring is a seemingly picturesque community harboring one unsettling secret – the streets are haunted by seventeenth century woman whose eyes and month are sewn shut. Known as the Black Spring Witch, she enters homes at will and menaces townsfolk as they sleep in their beds. The town elders have kept the town effectively quarantined to keep their secret and keep the curse from spreading, but when a group of teenagers break the long-established traditions, the town descends into chaos and darkness. Barcroft is like any other well-to-do commuter suburb, except for one major difference – a ferocious creature is stalking the community. Ben McKelvie bought a house in Barcroft with his fiancée before everything fell apart. Now he’s square in the sights of the otherworldly creature, and he needs help. Now. The Rooks moved to the remote community of Litchfield, NH, hoping to find relief and a safe haven from their family’s recent traumas. Unfortunately, Litchfield harbors a dark secret stretching back generations. An ancient and hungry power lurks in the forest just beyond the town, and it’s watching the Rooks. On a hike through the foothills of the Santa Ana Mountains, Travis Cornell runs across a disheveled golden retriever. Soon he and the remarkably intelligent dog are on a run for their lives from an unseen and terrifying creature intent on destroying the dog and anyone who gets in its way.